With this module your light will emit about 400 lumens of white light. This module will work in all our 30LR, 38LRX, 50LR, 50LRX, 66LRX and 66LR lights. 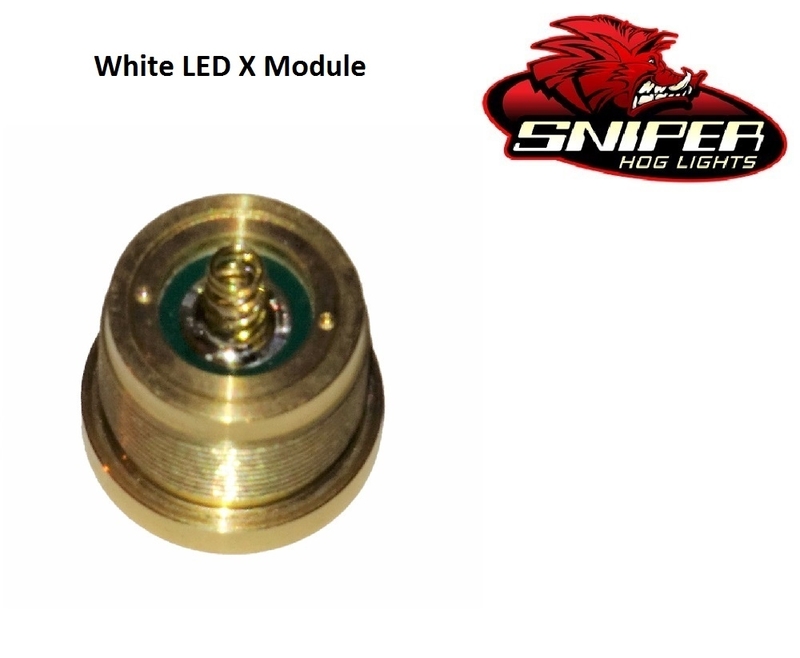 With our 66LR and 66LRX lights this LED module with shine about 1023 yards, 50LR and 50LRX with shine about 781 yards, 38LRX about 527 yards and our 30LR about 440 yards.